exactly the conference that participants need and want. Are your events suffering from falling attendance, evaluations, or profits? Do you want to make your current face-to-face conference "can't miss" better, even as more and more content becomes available online? Are you wondering how to successfully start a new conference? I can help! I'll help you create engaging conferences around the learning your attendees really want and need. Conferences designed to build meaningful, mutually beneficial connections between participants. Conferences that help people work smarter and generate the right personal and organizational action outcomes. For over 25 years I've been designing and facilitating Conferences That Work: innovative, highly interactive, attendee-driven events that leverage attendees' expertise and experience to create just the conference that participants want and need. You can also include traditional plenary sessions for an event experience that will delight your attendees and stakeholders. I consult on conference design, facilitate entire conferences, individual sessions, and session crowdsourcing, present regularly about participant-led and participation-rich events, and lead interactive labs on participation techniques that will fundamentally improve your meetings and conference sessions. 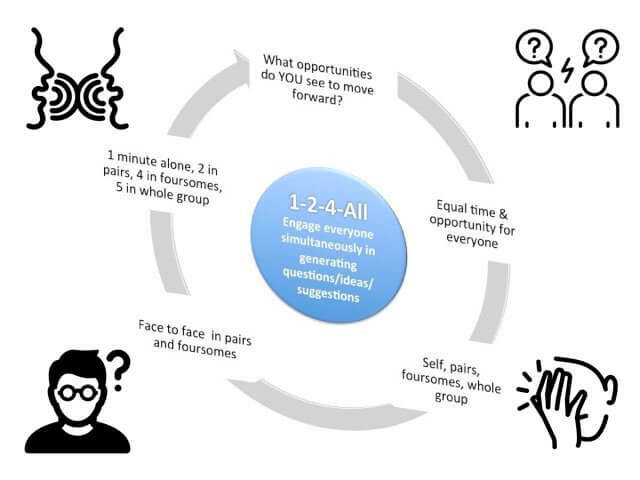 I facilitate three popular sessions—The Solution Room, The Personal Introspective, and The Group Spective—that provide powerful opportunities for participants to learn, connect, engage, and reflect at your event. 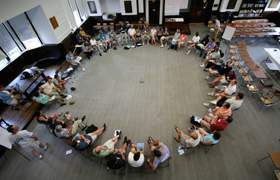 I also specialize in designing and facilitating large group discussions on hot topics, using my unique Fishbowl Sandwich format. My book Conferences That Work: Creating Events That People Love condenses 30 years experience designing, organizing, and facilitating conferences into an information-packed step-by-step guide to a proven design for creating productive conferences that people love. My book The Power of Participation: Creating Conferences That Deliver Learning, Connection, Engagement, and Action is a comprehensive guide to participation techniques that increase learning, connection, engagement, and outcomes at any conference session or event. 25 Apr 2019 - 28 Apr 2019: Uncharted Veterinary Conference 2019 (private event), The Westin Poinsett Hotel, Greenville, South Carolina. The Uncharted Veterinary Conference (already sold-out) is an innovative, immersive, workshop, and participant-driven marketing and strategy conference for 150 veterinary professionals obsessed with growing a business or brand in veterinary medicine. Adrian will design and facilitate this popular peer conference.